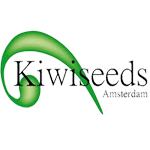 Kiwi Seeds guarantee top class cannabis seeds. All Kiwi Seeds are bred by themselves unlike other breeders who buy stock from different growers. Kiwi Seeds only use top genetics for CANNABIS SEED production, sources from strains found world-wide. Every variety is tested in house for germination, viability and flower quality.